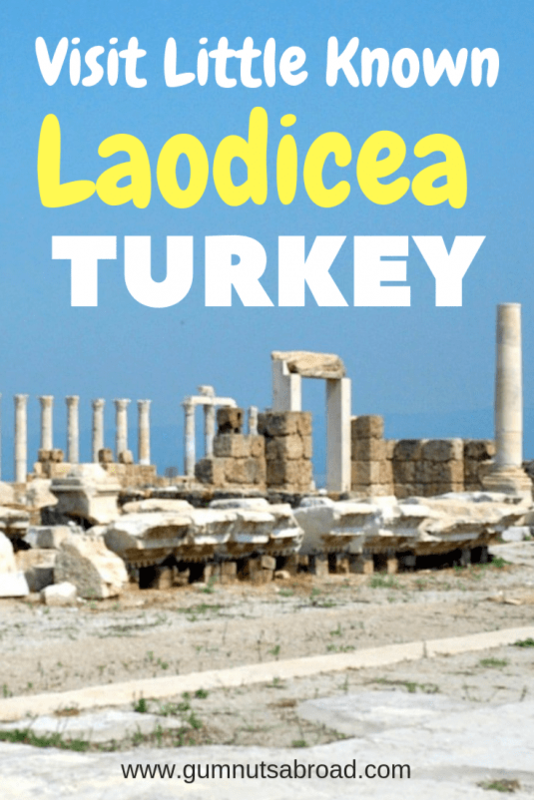 We were delighted when we heard about the little-known Laodicea, Turkey. We’ve long been fascinated by anything old, old furniture, old houses, old carpets (especially Turkish ones). And exploring ancient ruins is one of our favourite things to do. What we love about ruins, is how the ancient energy of the stones connects us to the past. And as we’re wandering around, we imagine what life must have been like back then and the impact it has on our lives today. 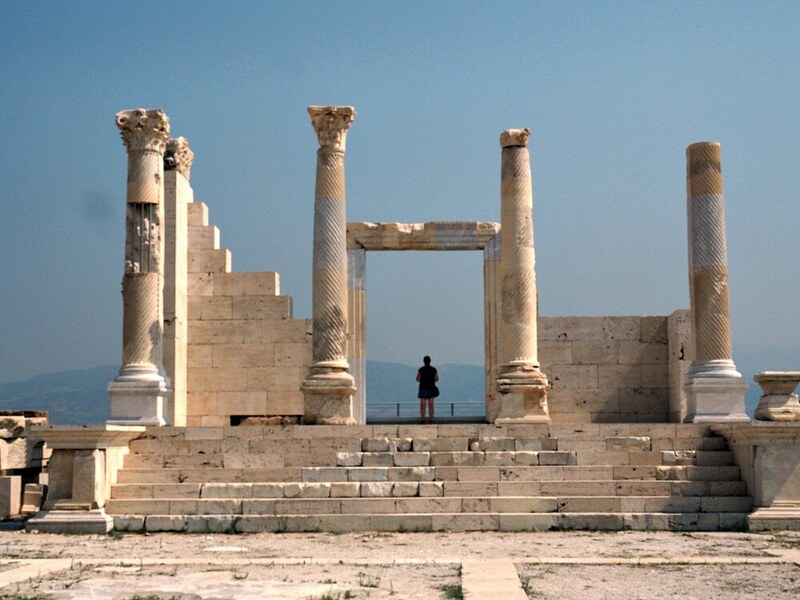 So once we heard about it, a visit to Laodicea was always going to happen. 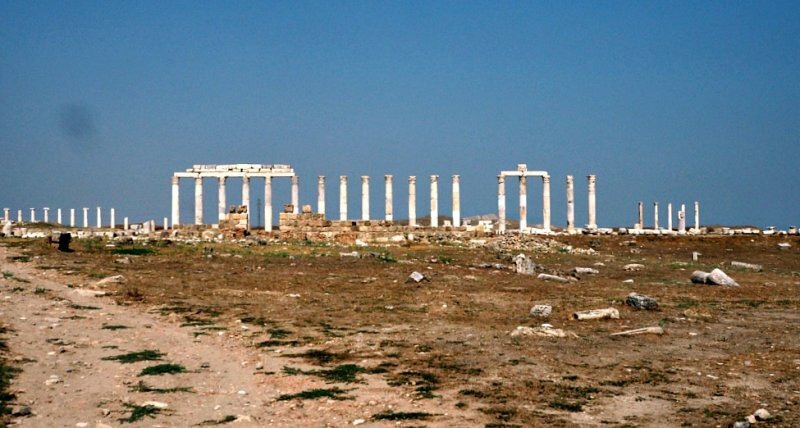 Laodicea is a five and a half thousand-year-old Roman city that had a large population of Christians and Jews. It was home to one of the Seven Churches of Revelation which is also known as the Seven Churches of the Apocolypse. According to the Book of Revelation, these were the seven major churches of early Christianity. Most of it still lies in ruin. 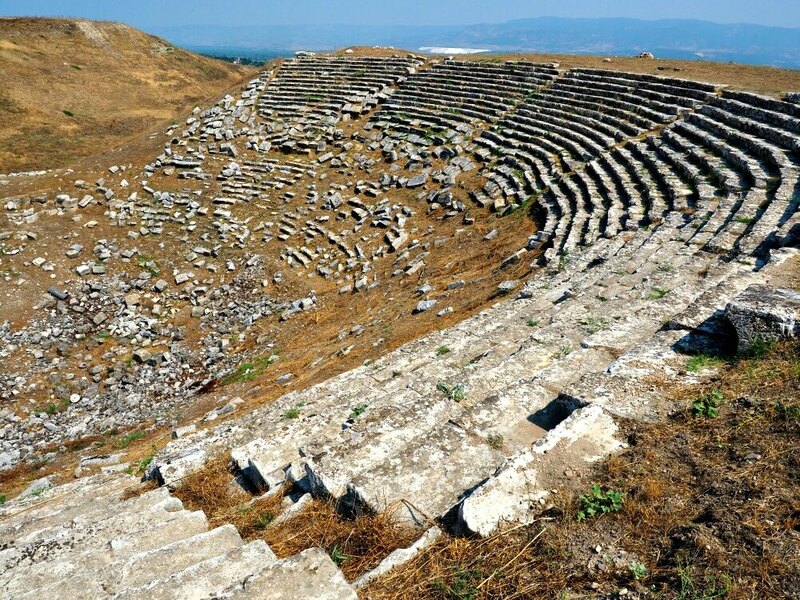 But restoration is currently underway, and there are hopes to make Laodicea another Ephesus. However, I don’t think that’s happening anytime soon. 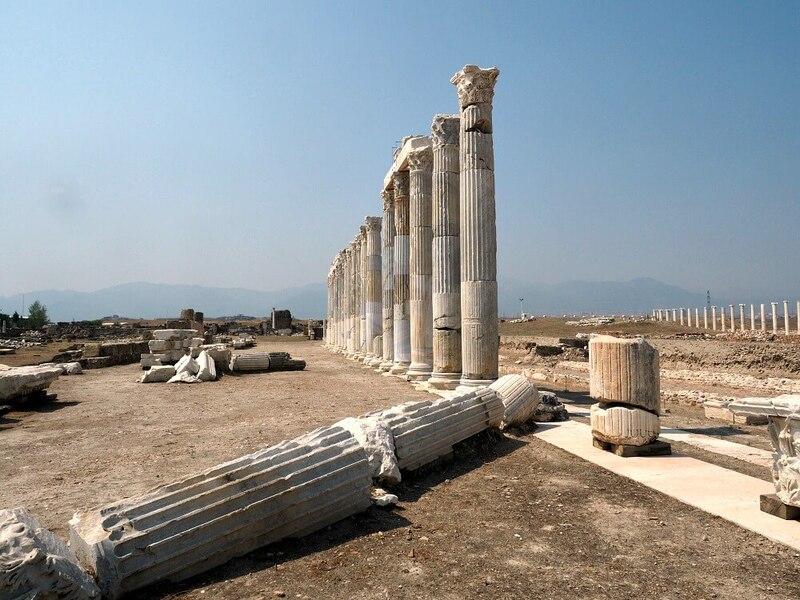 Laodicea is set on a plateau just a few kilometres south of Pamukkale. 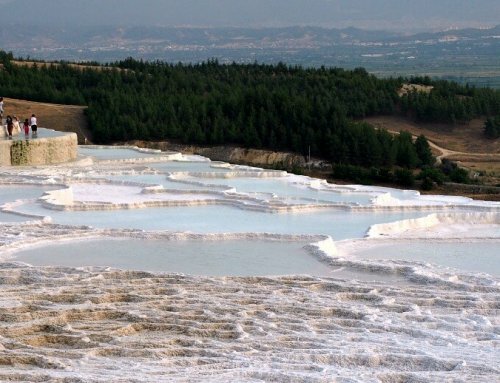 Surrounded by hills it’s easy to see Pamukkale’s white travertines on the grass slopes. 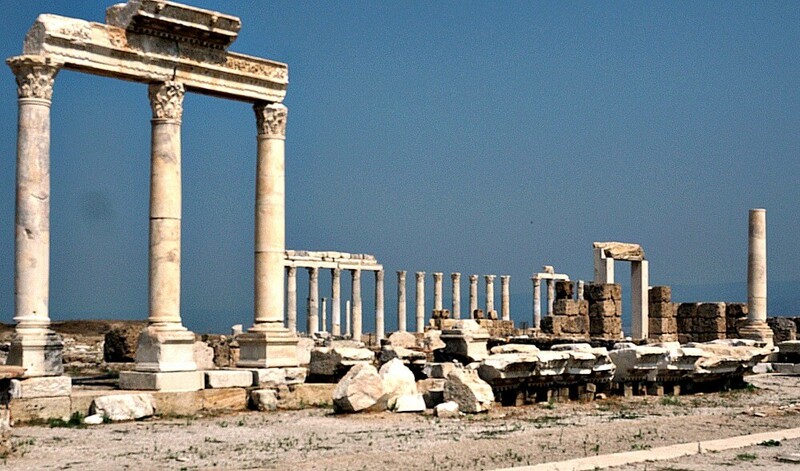 To visit Laodicea jump on the Pamukkale-Denizli dolmus. Be sure to tell the driver where you want to go so he knows where to drop you. Our driver forgot to stop to let us off and we didn’t realise until we were on the outskirts of Denizli. It wasn’t a big deal though as we were able to catch another dolmus straight away. The buses drop you off on the highway close to the corner of Oren Caddesi. Walk up this road – there’s a bit of a hill – for about one kilometre until you reach the entrance on the left. I don’t know what these piles of rocks are but you can see the travertines in the background. Tickets for Laodicea cost 5TL which is next to nothing. The attendant didn’t have change for our 20 lira note but he was kind enough to let us in without paying. You can’t see the ruins from the ticket office as they’re about a fifteen-minute walk away. The area is full of dry tumble-weeds and rubble from unexcavated works. It’s a dismal sight and we were worried that was all there was to see. We soon learnt that there was a lot more to see, and we were surprised by how big it is. 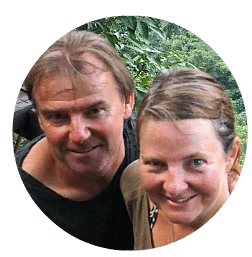 The ruins are spread out over five square kilometres and we quickly worked up a sweat walking around in the searing heat. But after the chaos of Ephesus, visiting Laodicea was a joy and we spent a couple of hours exploring it all. 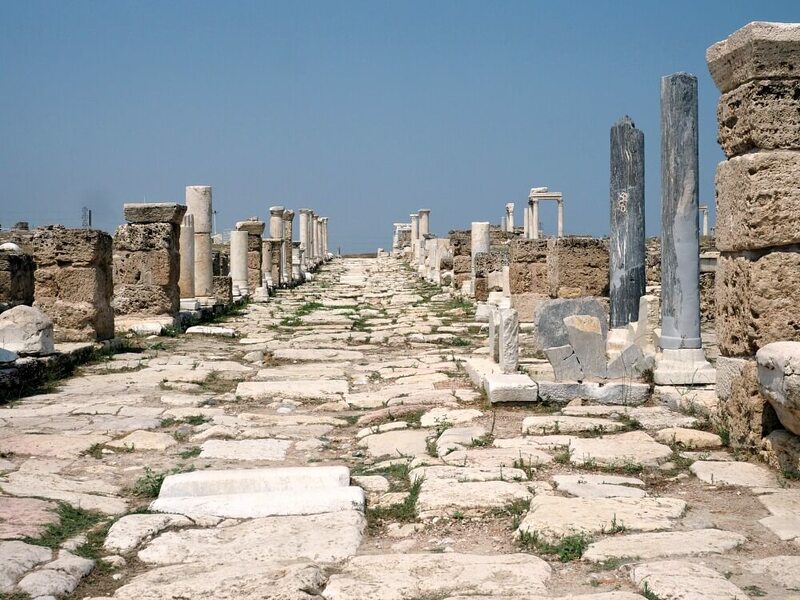 Laodicea was once a lively commercial centre of industry, medicine and trade. The main thoroughfare was a column lined road known as Syria Street. I don’t know why it was called this but I doubt it has anything to do with the country we know as Syria. There’s a temple – known as Temple A – that was originally dedicated to Apolo, Artemis and Aphrodite. 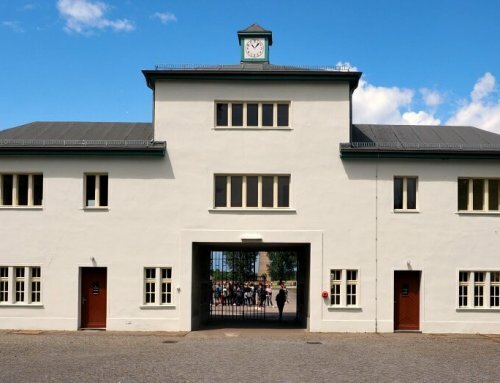 It must have been glorious in its day and we’d love to see it fully restored. There’s a platform at the back of the temple with amazing views of the whole area. What’s really cool is that it’s made from glass so you can see the excavation work going on underneath. 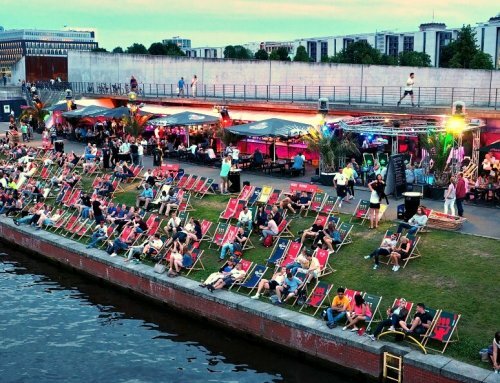 Incredibly, the site includes two open-air theatres, with seating capacity for twelve thousand people. And on the edge of the city are the ruins of a huge stadium that’s roughly the length of three football fields. 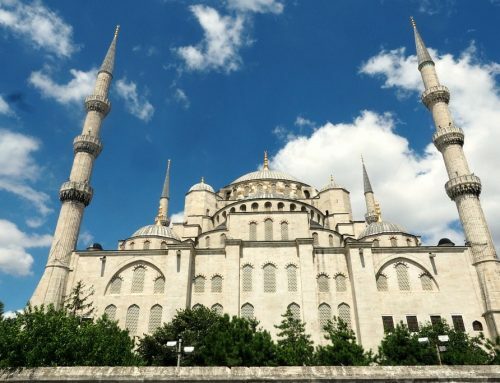 There’s also two Roman bathhouses, five fountains, a council hall, and numerous temples and churches. One of the theatres. You can see the travertines in the background. The huge stadium. See how tiny I look! By the time we finished exploring we were dying of thirst and craving an ice-cream. So we were thrilled to see a tiny shop close to the old city’s gate selling snacks and gifts. As we sat in the shade, ice-cream dripping down our hands, we could see Laodicea spread out before us. An ancient wonder we were lucky enough to see on our own. Perhaps one day the crowds will flock to it too. We were able to pay for our tickets with the change from the shop. You didn’t think we weren’t going to pay, did you? Umm … Actually, there is. 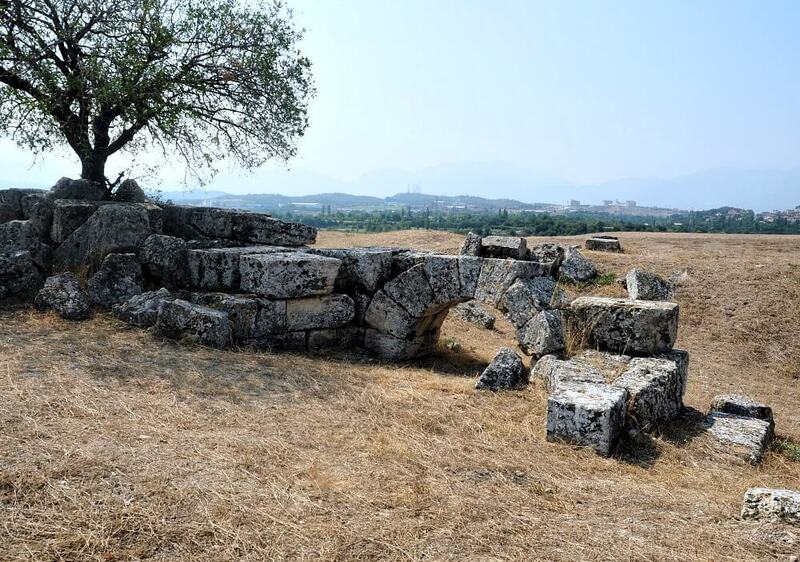 Do you like visiting ancient ruins? Let us know in the comments below or by sharing with one of the social media links. We’d love to keep sharing the magic of travel with you so feel free to subscribe to our email in the box below. 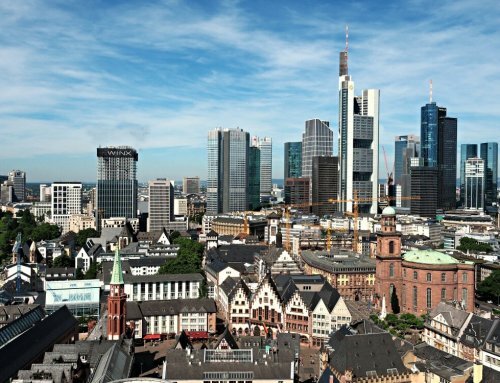 And don’t forget you can always follow us on Facebook and Instagram.